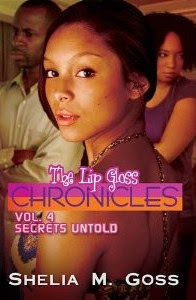 In the Lip Gloss Chronicles 4: Secrets Untold by Shelia Goss, readers meet Porsha Swint a straight “A” student with a host of friends and a loving family. When Porsha over hears a conversation between her parents, she finds out that her biological father is none other than Dion McNeil, sports newscaster who also happens to be an former Dallas Cowboy. 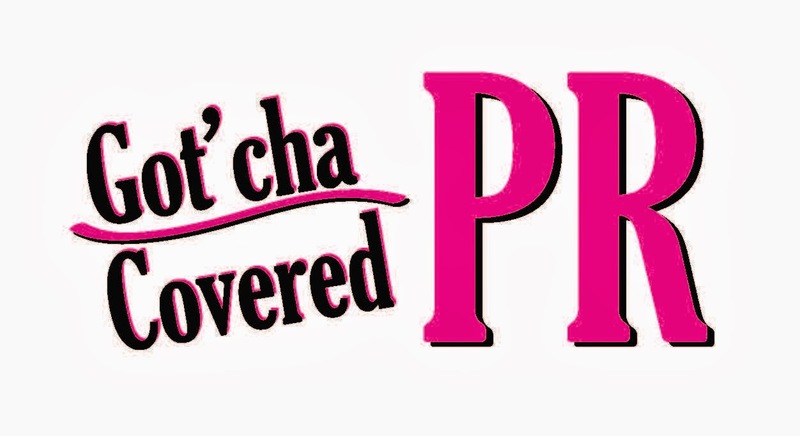 Porsha is shocked, hurt, and angry that her parents have kept this important information from her for 15 years. 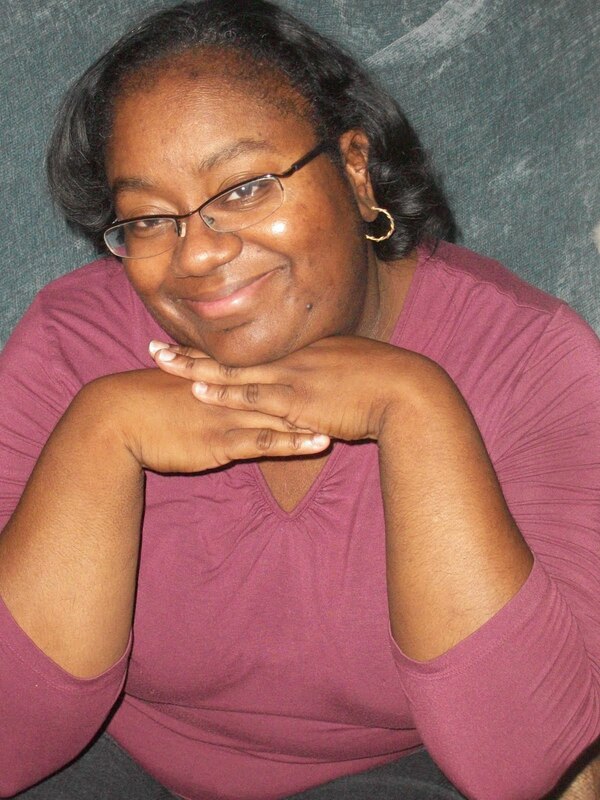 Porsha’s grades start to drop, her mood changes, and she now has an extended family. Will her parents rectify the wrong that has been done? When Jasmine McNeil finds out that she has a step-sister the news does not sit well. When she finds out that her new relative is one of her classmates that she does not care for makes it even worse. How could her father do this to their family? Jasmine’s reaction to the news causes friction between her and her newly found sister. Will Jasmine get over her father’s betrayal? Secrets Untold is about blending families. The author provides readers with characters that have realistic emotions that any reader can relate to. This story deals with a family secret and how both families dealt with the secret once it was revealed. Shelia Goss has a unique writing style that is sure to keep readers wanting more. I recommend Secrets Untold to others. In Ruthless by Shelia Goss, readers will discover the true meaning of wanting something you cannot have. Sheba and Uriah is a loving couple. Sheba is a successful nurse and Uriah is a loyal businessperson. When Uriah is called to work overseas, it takes a toll on his wife. What is a wife to do with a lot of time on her hands? David King is a man that loves to get what he wants. David is a strategist and will do whatever it takes to accomplish his goal. Once David has his eyes set on winning the untouchable prize, he puts a plan into action. David soon realizes that he needs help for his plan to succeed and he recruits one of the best. Will everything go as planned? 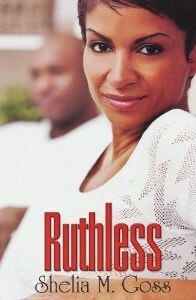 Ruthless is about marriage, sacrifices, and desires. The author has done it again by providing readers with an entertaining and suspenseful book. The main characters kept me on a rollercoaster while anticipating their next move. Shelia Goss has never let me down with her writing style and I will continue to follow the Women of the Bible series. This is a must read book and I definitely recommend it to others. This uncorrected proof was provided by the author for review purposes. A&RBC: Who is Distinct Ladies Book Club? DLBC: The Distinct Ladies Book Club is a local group here in Memphis. We have been together for almost 5 years. DLBC is just a book club, it’s a sisterhood. We are ladies who come from various backgrounds but whom share a passion for reading. 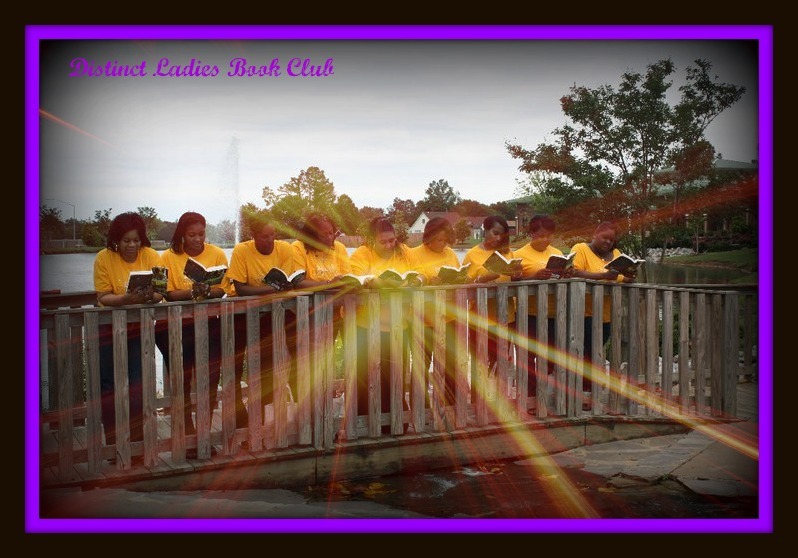 A&RBC: What are the mission and vision of the book club? A&RBC: What are your membership requirements? DLBC: Our only requirements is that you have a love for reading, you are willing to attend monthly meetings and do community service. A&RBC: What community outreach programs does your club regularly host or attend? DLBC: Distinct Ladies supports the local Catholic Charities of West Tennessee. We also adopt kids for to support for back school and Christmas. We are getting to participate in a Cancer walk for survivors. A&RBC: What are the clubs requirements for hosting authors for discussion? DLBC: Distinct Ladies Book Club will occasionally invite authors to sit down with us during one of our book club meetings, a sponsored literary event or book signing. If they are coming to the Memphis, TN area and would like us to be involved somehow with your visit, we would be more than happy to do what we can. If they are specifically wanting to sit down with our book club members to discuss your book, our book club meetings are held on the 3rd Sunday of each month at 4 PM at various restaurants and other locations in Memphis. We require at least a 60 day notice before a book club meeting in order to purchase and read a book. We also will not purchase overpriced books or books that are not easily accessible either through an online book store or the author's website. They can email us or use our contact form on our website. A&RBC: What is your club location and contact information? DLBC: DLBC is located in Memphis, TN and we can be reached at distinctladies@yahoo.com or www.distinctladies.org. Tony: I began writing in 1990, after resigning from the military. I began writing by accident, or by fate. (My mother, aunt, sister, niece and nephew write, so it may run in my family). I kept having the same dreams over and over. After praying about them I believe the Holy Spirit told me to start writing, so I did. I hand wrote the first sixty pages in about two days. I was so full of the Spirit at the time that I couldn’t begin to tell you how it happened. It was before the computer was in every home. I couldn’t even type back then. Tony: I do draw from my own experiences when I write and I have been studying the Bible for so long that my characters end up being people who I have taught bible studies over the years. I’m not an inspirational writer, as we have come to know the religious/genre, however the characters are emotionally inspiring. Some are from my childhood, others from my adult years. I place them all into the storyworld that I have created. My main character is usually a preacher/teacher commissioned by God to prepare the elect for the upcoming end time battle while in the meantime work as a beacon for bringing the elect out of darkness. My main character (in book II The Immortal Dancer/The Preparation) seems more like a heathen and tends to use the saying, “God chooses whom he will” to explain away his behavior. Of course in my storyworld the main characters are forced to do God’s will. As much as they love God they are extremely reluctant while remaining totally loyal to fulfilling their duty. Despite the weakness of the flesh, which at times they don’t even attempt to resist, they remain compelled to drive on to the end. Tony: I try not to suggest what readers should to take from my stories. And I certainly don’t want to tell them what to think. However provoking them to think is the reason I write the way I do. Which I do without sounding preachy/sermony. Since the main characters in my storyworld are warrior bible teachers the main goal of my novel is to teach about the second coming of Christ. Within the pages are many, many answers to questions that every spiritually hungry follower and non-follower of Christ should ask and have answers to. I do my best to make sure each lesson is easy, fun, revealing enough so that it seems to come alive with emotion, passion, and humor. When I read over, and while I was still writing my current release, I began realizing that the wages for sin is death and while writing about the crucifixion of Christ I really felt it. The amount of detail in those chapters made me realize how much he suffered for me. Tony: I would like to write a book for teens. I’ve noticed the trend of vampire/witch/demon books and television shows and how evil is now combated by evil. Writers for secular television and books go to great lengths disregarding what is truly Good over Evil. It appears that evil is now the new good. I would like to write something that inspires and entertains teens, totally fiction, but how the word of God and his commands the Jesus can over come evil instantly as if by miracles. Tony: I’ve only written two books and my hat is off to those who can truly write, and write well. I however am not a ‘can write about anything type of writer’ but wish I were. I am writing a lot of articles these days so I tend to pick a current hot topic and relate it to the second coming of Christ or some other lesson from the scriptures. Tony: I don’t read much but when I do, more then likely I will read fiction. I’m more of a tv watcher. However right now I’m reading “In the Spirit of Ronald E. McNair/Astronaut, An American Hero, by Carl S. McNair. Tony: Occasional, on vacation reader. 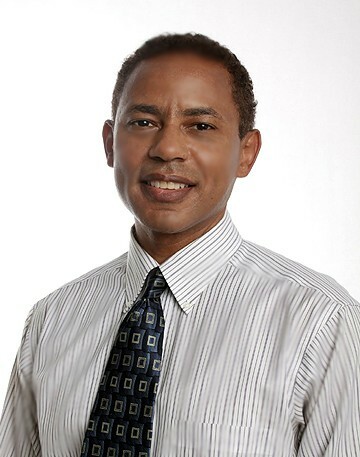 Tony: I am a former U.S. Army Ranger, and have been a professional ballroom dancer for over 15 years. 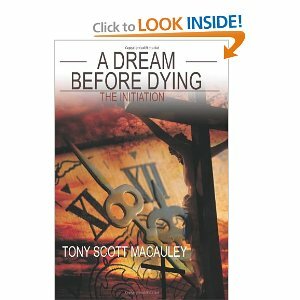 Tony: I would interview my mother, Mary Macauley. She succeeded when all odds were against her, earned a masters degree and raised a family as a single parent. Tony: As a child I wanted to be a priest, musician, and all around hero. Looking back on my life I tend to tell myself that I should have stuck with this or with that but then realize everything I did up to this point in my life was just exercise and that maybe one day I’ll be able to write about it. Tony: I’m mostly working on getting my articles published, my new story Immortal Dancer and I plan to help Barrack Obama get re-elected. Tony: I’m hoping to attend the Atlanta Book Expo and Decatur Book Fair, both in September. ABA is on my birthday the 17th. You can contact me at tonymacauley@att.net http://www.adreambeforedying.com/ .You can find me at KADTS Ballroom Dance Club in West End Atlanta Ga where I own and operate a ballroom dance studio, now going on 12 years. On some of my free weekends you may catch me on Cascade Road SW Atlanta under my pop up canopy signing books. It is summer and vacation time. We here at A&RBC recently took a weeks vacation but now we are back. We have taken the current week to regroup, complete interviews, research as well collect new information. We are here to inform you on all new information we collect about new authors, business, and bookclubs. We are happy to back and look forward to providing you more helpful tools!